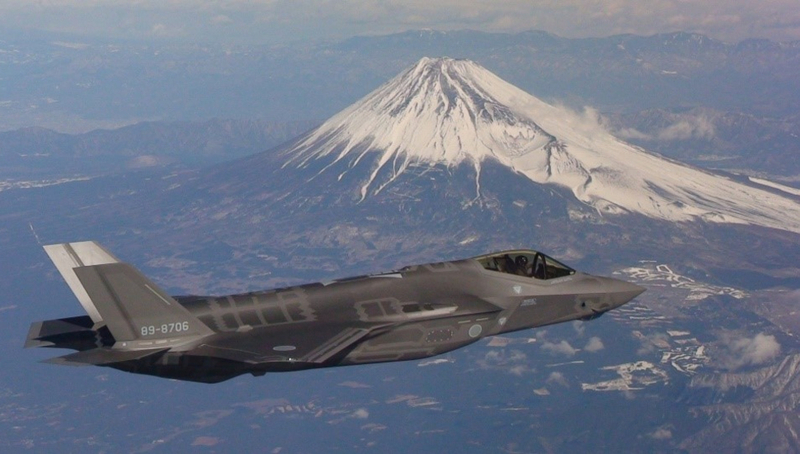 An F-35A Lightning II Joint Strike Fighter flying near Japan's Mt. Fuji during a promotion of the aircraft to the Japanese government. Photo c/o Flight Global. The Japan Air Self Defense Force (JASDF) has fully activated its first squadron of Lockheed Martin F-35A Lightning II Joint Strike Fighters with the 302nd Fighter Squadron on 29 March 2019. The 302nd transitioned from the McDonnell Douglas F-4EJ Phantom Kai to the F-35A Lightning II, and is assigned under the 3rd Air Wing at Misawa Air Base in northern Japan. Japan joins a growing number of air arms with fully operational squadrons including the US Air Force, US Navy and US Marine Corps, the Royal Air Force, Royal Navy, Israeli Air Force, and Italian Air Force.